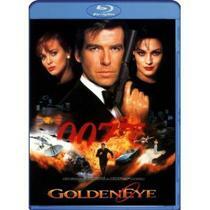 MGM and Sony Deal - More Bond Blu-rays on the Way? Sony will be handling distribution of films and upcoming DVDs, which could mean good things for Blu-ray and Bond fans alike. In a deal being finalized by MGM, Sony was named as the worldwide distributor for both movies and DVD/Blu-ray content for the company. Sony will also be instrumental in the making of the next two Bond movies, putting up half of the funding for the first and a quarter of the funding for the second. No specifics have been announced regarding the releases and we don't expect to hear more until the deal is finalized. Still, those hoping for unreleased MGM titles may get their wish in the near future.